Welcome to Schlocktoberfest! It’s our monthlong celebration of all things spooky scary. 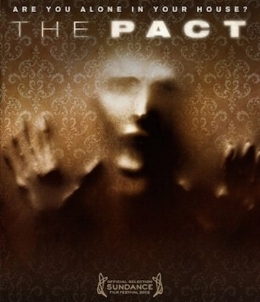 Check your closets and crawlspaces because we’re kicking it off with the terrifying-in-conception yet mediocre-in-execution, The Pact (2012). Finishing just behind Leprechaun 4: In Space on Matt’s list of the greatest films of all time, this cobbled-together mishmash of ideas seems more interested in finding ways to scare you than telling a coherent story. Grab a jar of floor pickles and cuddle up with your werewolf because we’re planting the seed of a new anxiety this week on Hex Rated BOO!vies!